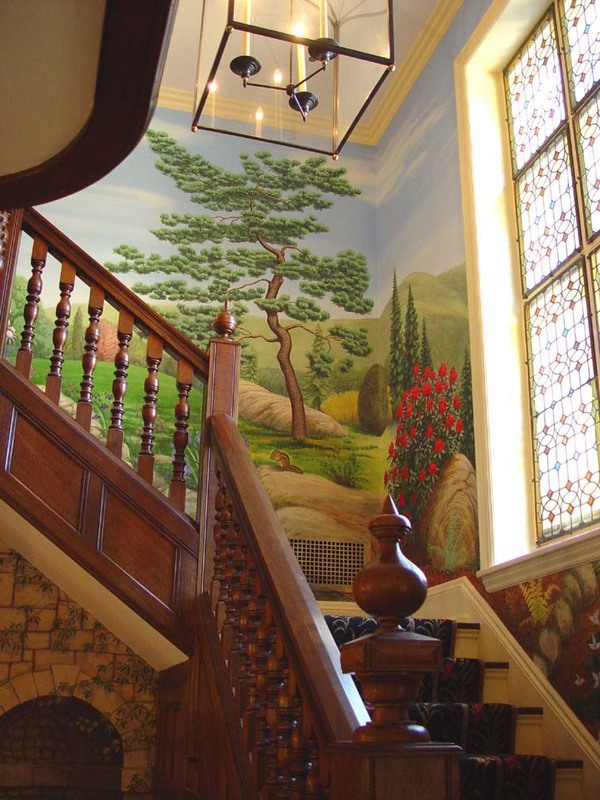 Landscape mural hand painted on foyer, stairwell and upstairs landing walls. Private residence, Philadelphia, Pa. 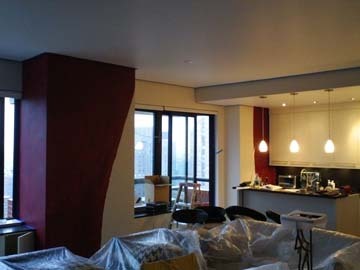 The work was commissioned by Maria Gross's Interiors of Princeton NJ.